Improve the indexing tax of your links in Google. 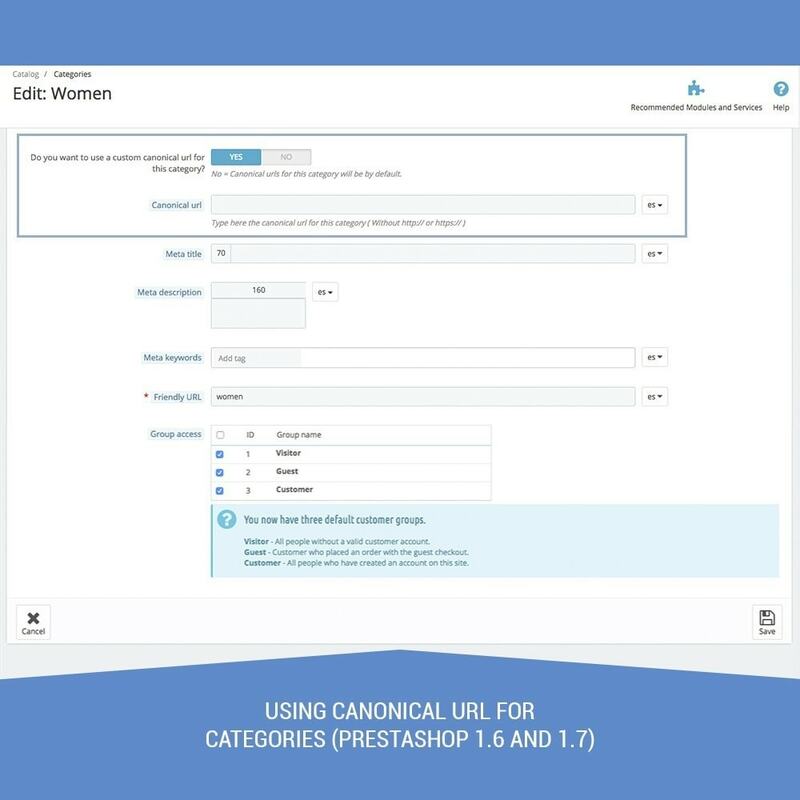 With this module, you can automatically identify duplicate URLs and mark one of them as valid for indexing by searchers engines. You will not be penalized for duplicate content and and get an easier content identification by searchers. 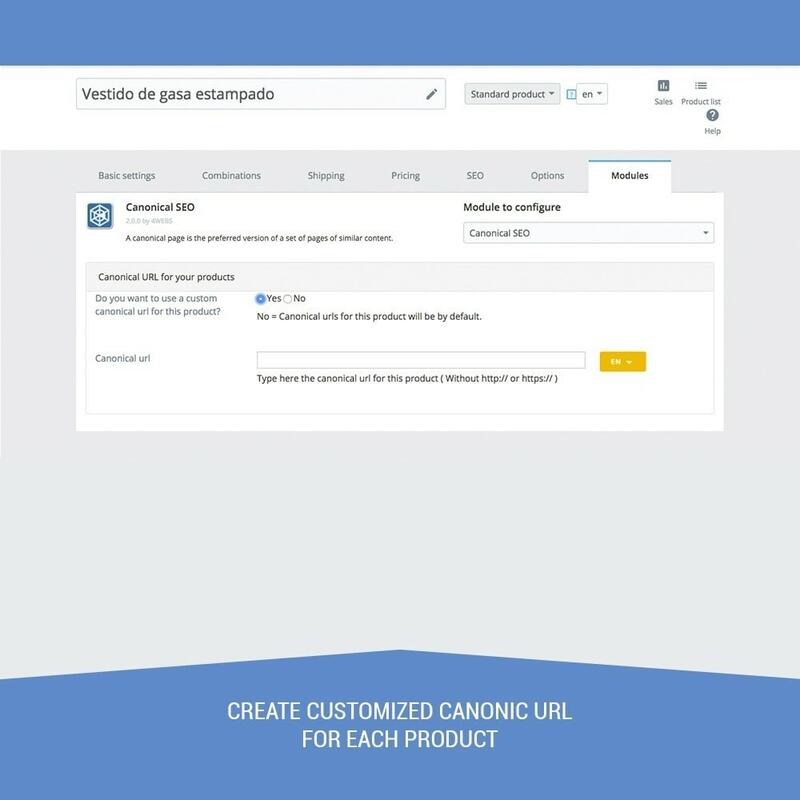 Generates canonical URL of the default categories and products generically. It acts on the pages of the CMS. 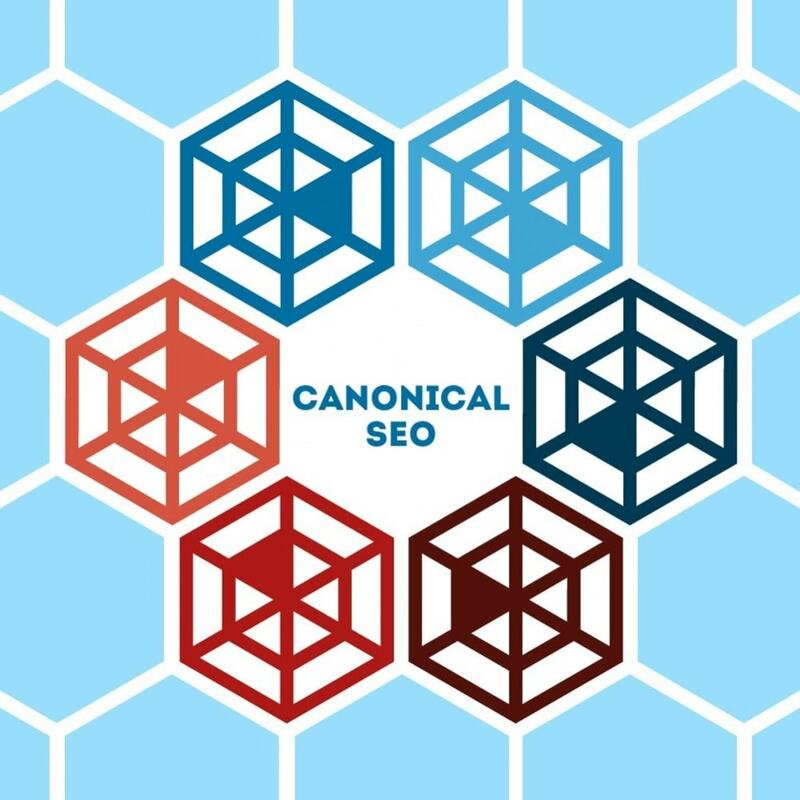 Choice http or https protocol for canonical URLs. 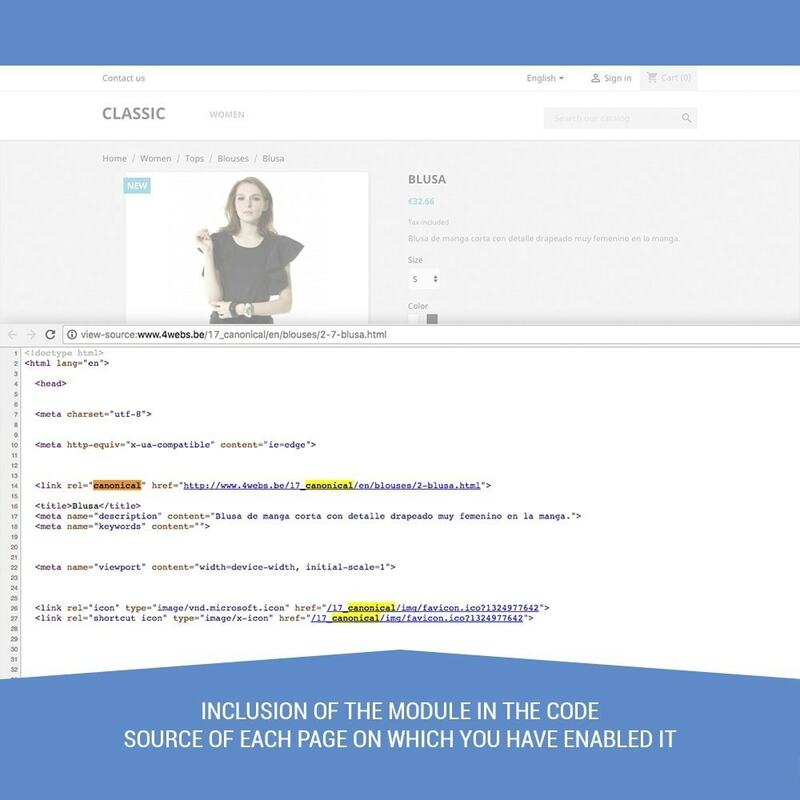 Once purchased the module, it must be uploaded to the server by placing it in "Modules" folder. In this point you will find it at your Prestashop modules searcher.